If you asked me 5 years ago if I'd have any interest in which baby wipes were the best on the market, I'd have laughed at you. 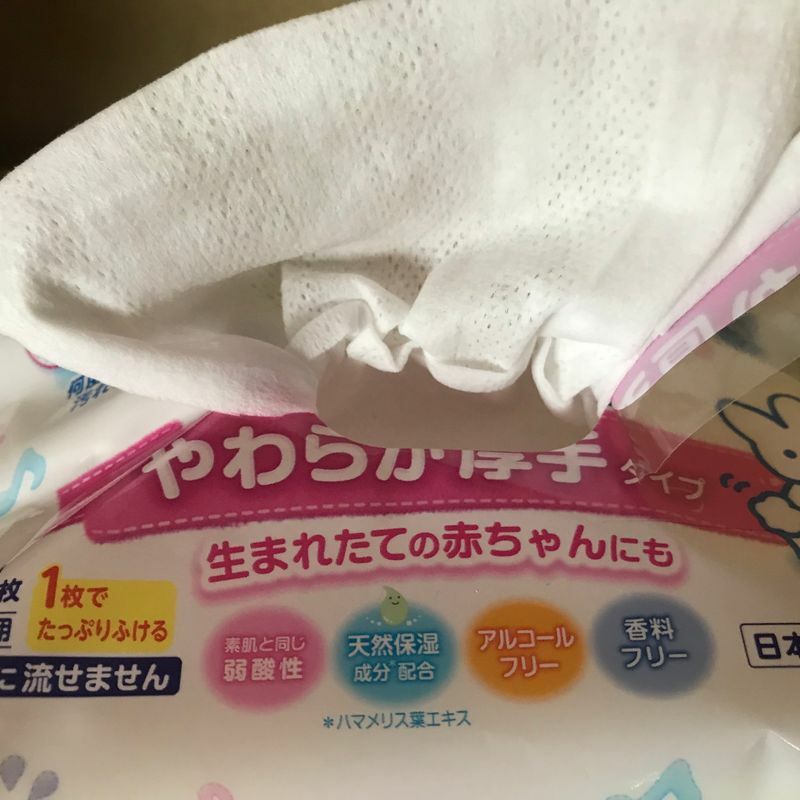 Now though, as a parent of two little ones, I pretty much made it my quest for a while there to find the very best baby wipes Japan had to offer. My husband and I were tough critics, and went through extensive research - we'd find that some wipes were too thin, some wipes were too thick, some brands would find you pulling one wipe out of the packet and it being tough to then separate them, some would not have enough texture...you see what I mean?! Not all wipes are created equal. After much trial and error, my husband and I found what we consider to be the holy grail of baby wipes. 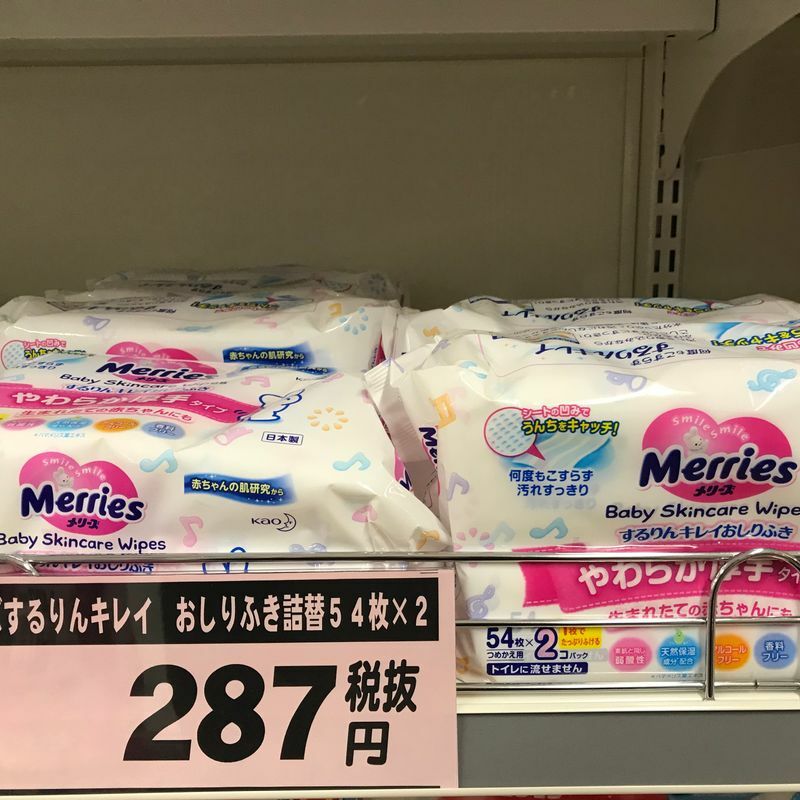 They're by the Merries brand, and you can find them online at Amazon Japan, or at just about every store that sells baby products. They retail for about 290 yen or thereabouts for two packets, with 54 wipes per pack. One thing you'll notice as you pull a wipe out of the pack is that the wipes have some level of texture, but at the same time they're not annoyingly thick like some wipes are - they're the ultimate in "just right" for thickness. 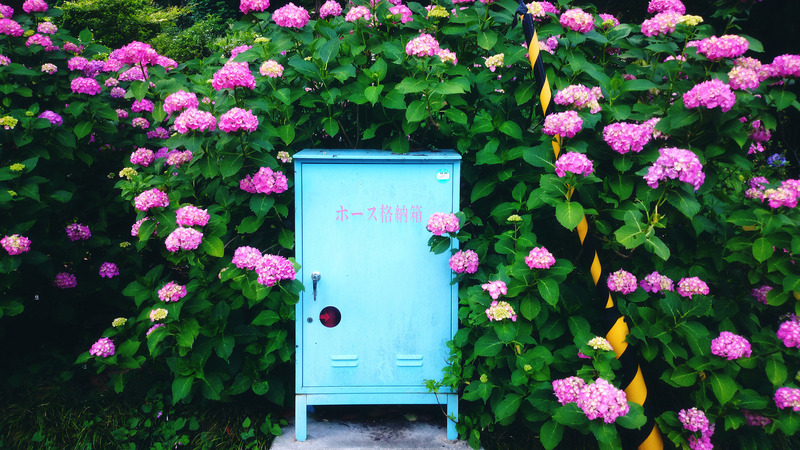 They come out of the pack easily, and they're also super easy to pop into a diaper bag when you're out and about on the go. Another thing I love about these wipes is that they're the perfect level of moist - not soaking wet but not dry - so they're super easy to use. 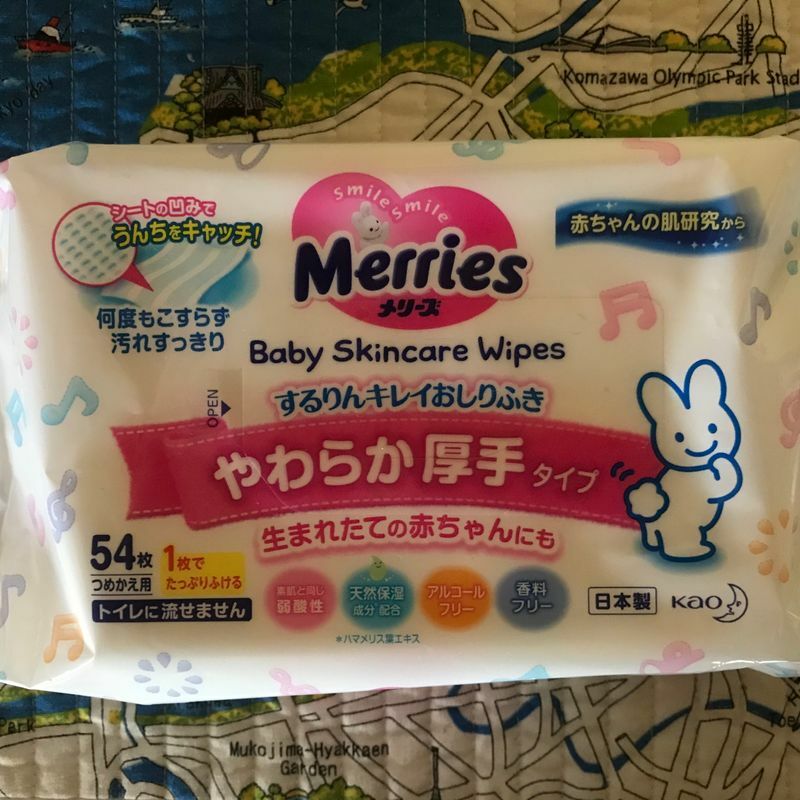 If you've just moved to Japan and you have little ones with you, I'd highly recommend checking out the Merries brand of wipes if you're trying to find one that suits your little one.